Kyrie Irving sits out, but Boston still ends a four-game losing streak by beating the Cavs as Marcus Smart and Jayson Tatum each score 21 points. 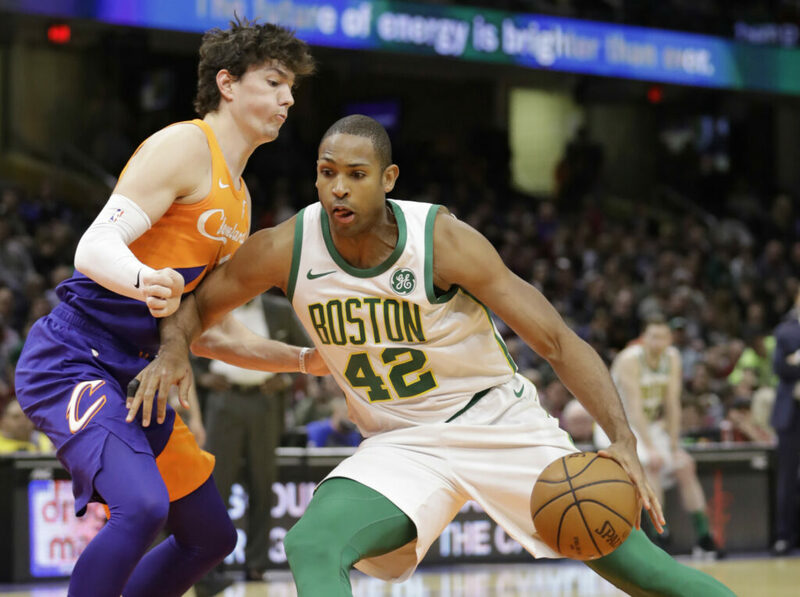 CLEVELAND — Jayson Tatum and Marcus Smart each scored 21 points, and the Boston Celtics broke away from a fourth-quarter tie to defeat the Cleveland Cavaliers 116-106 on Tuesday night. Irving is averaging 23.8 points and the Celtics want to keep him as fresh as possible going into the postseason. He played his first six seasons with Cleveland. The six-time All-Star demanded a trade following the 2016-17 season and was dealt to Boston. He hasn’t played in Cleveland since the 2017-18 opener. NOTES: The arena’s Humungotron went out late in the first quarter, forcing the teams and fans to use the upper-corner scoreboards to keep track of things. The video and numbers returned soon after halftime and drew a loud ovation from the crowd. … Hayward had 15 points and Morris added 14. … G Terry Rozier, a Northeast Ohio native who played high school basketball in suburban Shaker Heights, scored 11 points. … Cedi Osman had 15 points and Larry Nance Jr. added 13. … Coach Larry Drew said G Matthew Dellavedova, who has been out since March 6 because of a concussion, could miss the rest of the season. Dellavedova returned from a recent road trip because he wasn’t feeling well and has yet to go through any on-court activity.